Since launching my business in 2012, I’ve always looked to nature to embellish my cakes. From fresh florals, both edible and non-edible, pressed flowers, wild greens, fresh and dried herbs, ripe seasonal fruits and underripe green berries on the vine, I find endless beauty in the gardens, at the farmers markets, and throughout the Northern California landscape I call home. 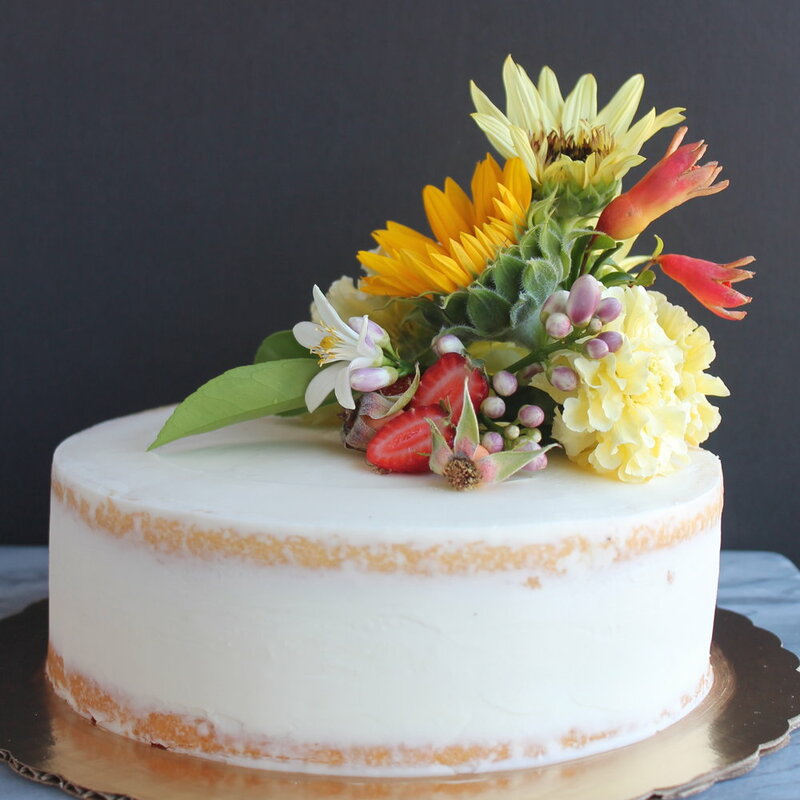 My cakes are freshly baked to order, composed of highest quality ingredients, and designed simply with little more than Swiss Meringue Buttercream to provide a clean canvas for whatever beauty the season brings. Over the years, having worked with countless floral designers, I’ve learned the do’s and don’ts of styling with fresh florals, from a safety standpoint, which is critical if you’re in the culinary industry, along with skills to approach my work with a designer’s eye. 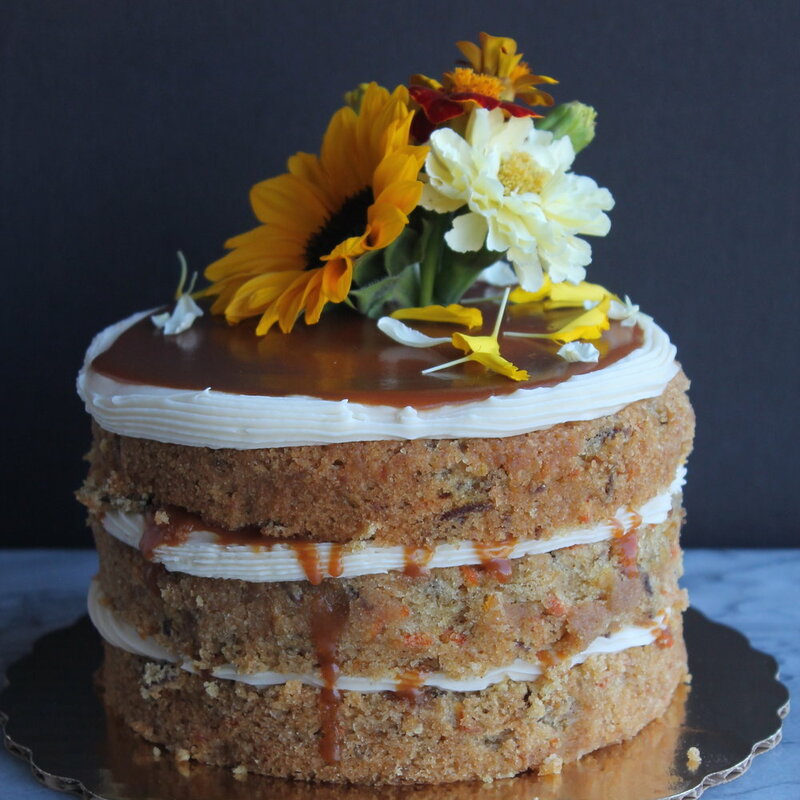 Would you like to learn more about safely styling cakes with fresh florals?